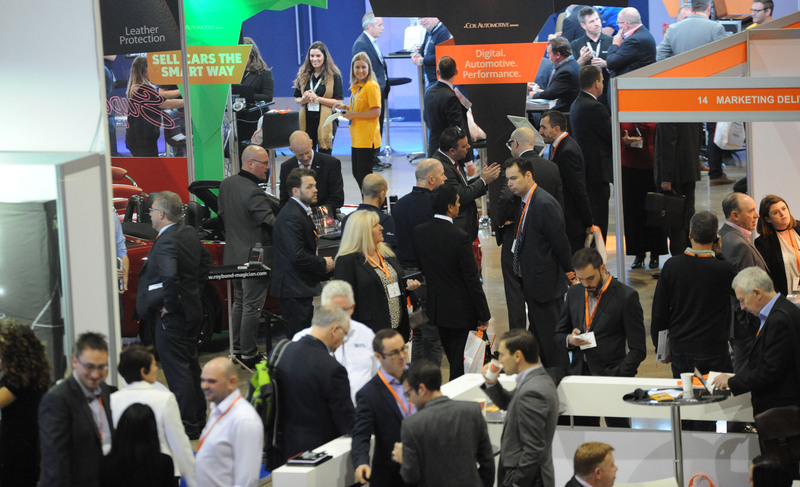 Hundreds of visitors filled the aisles at the MK Arena as the first ever Automotive Management Live was hailed a success by attendees and exhibitors yesterday. Social media responded to the vibrant array of stands and industry insight offered by AM’s eight best practice partners in a series of seminars throughout the day. Exhibitors displaying an array of services ranging from digital marketing, F&I, and legal advice to property development, lubricant supplies and remarketing expertise, responded well to the bustling event. The one-day expo in Milton Keynes attracted about 480 people. It was a case of standing room only in the 16 masterclasses and in the F&I Theatre presentations. “Initial feedback from both our exhibitors and visitors has been extremely positive and we look forward to sharing our plans for growth in the coming weeks,” said AM editor Tim Rose.